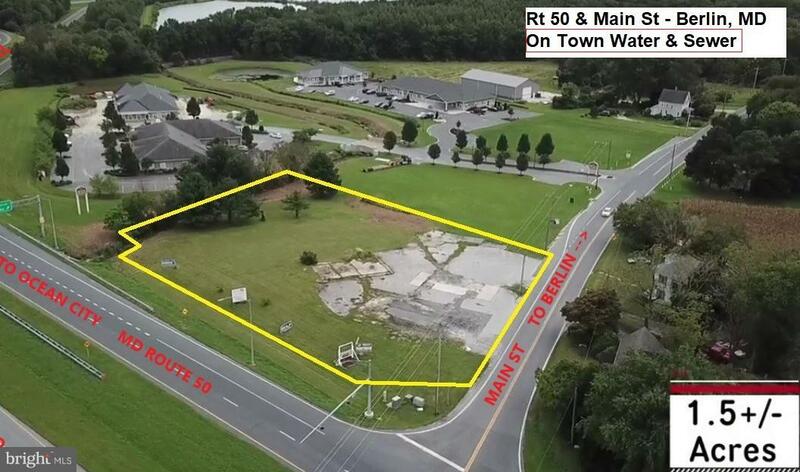 Great location at Delmarva's Gateway - the intersection of Rt 50, Rt 113 and Main St (Rt 818) in Berlin. 1.5 +/- acres with multi use. Highest visibility in Berlin with direct access to Rt. 113 North & South and Rt 50 East & West. 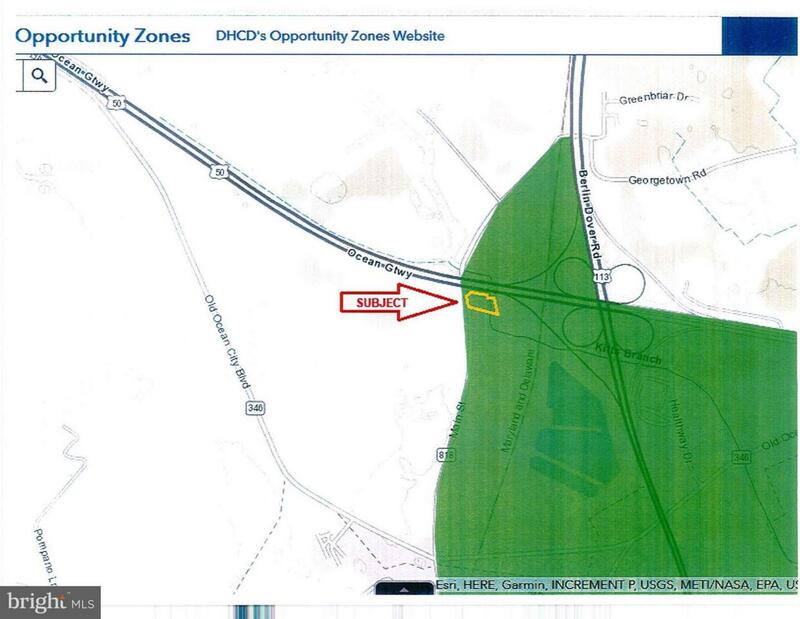 Includes town water & sewer, Flexible B-2 commercial zoning, part of a designated Opportunity Zone, and eligible for One Maryland tax credit. Concept sketch for 9,600 sf Medical Office Building available. 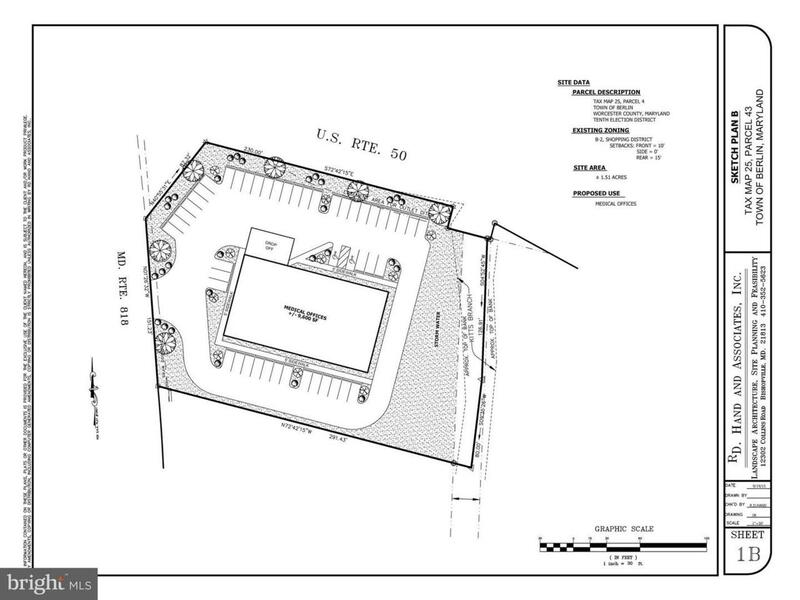 Surrounding parcels slated for development - concepts available. Just 10 minutes to Ocean City, 12 minutes to Assateague Island State & National Seashore Parks, 1 minute to downtown Berlin - voted America's Coolest Small Town.